California Rule 21 requires that, by default, Distributed Energy Resources within Investor Owned Utilities (IOU) must utilize the IEEE 2030.5-2018 networking standard in the manner described in the Common Smart Inverter Profile. 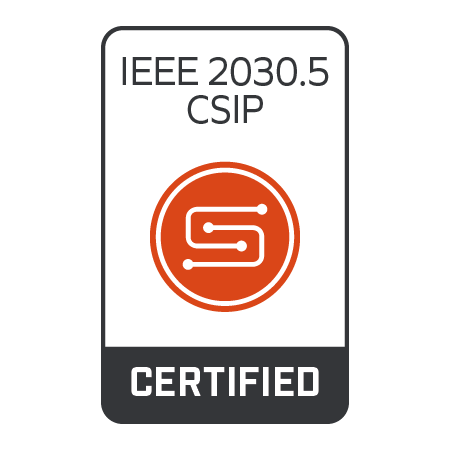 Products certified by SunSpec to the IEEE 2030.5 standard for wide area communication can be installed on sites connected to California Investor Owned Utilities and have the confidence in their compatibility with local area communication protocols like the freely available SunSpec Modbus Standards. IEEE 2030.5 clients, gateways, aggregators and servers. Certification is applicable to software running on embedded devices and cloud services alike. We are open to testing IEEE 1815-AN2018. 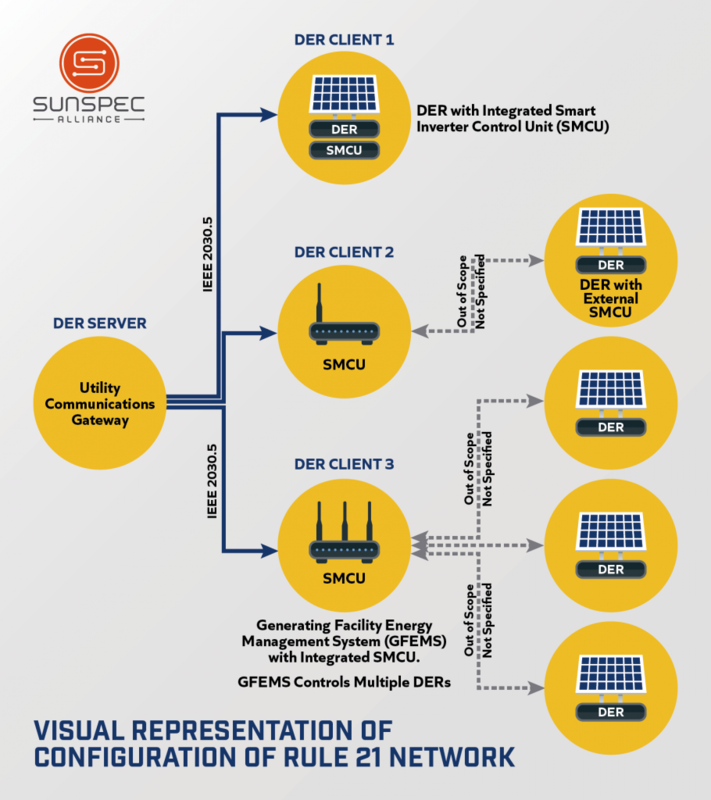 Please contact certification@SunSpec.org to discuss your requirements.